The Business Platinum® Card from American Express has a lot of perks that make it a keeper long term. These perks include a $200 annual airline fee credit (before you pay your second year’s annual fee you can receive two of those), access to Boingo hotspots, 10 Gogo passes, access to American Express Fine Hotels & Resorts, access to Delta SkyClubs, a Priority Pass Select membership, access to Amex Centurion Lounge, a Global Entry fee credit, and Gold elite status in Hilton HHonors and Starwood Preferred Guest/Marriott Rewards. The biggest perk of all, however, is that you get a 35% refund when you redeem your points through the “Pay With Points” option, which is an opportunity to get 1.54 cents of value per Amex point. You can even pool all your Amex points and redeem them this way, making this a way to increase the value of all your Amex points. However, there’s one other benefit unique to the Amex Business Platinum Card that I briefly wanted to hit on, given that I regretted not remembering this yesterday. Ford was recently approved for the Amex Business Platinum Card, and yesterday we had a transcon flight together. One of the perks of the card is that you get 10 free Gogo wifi passes annually, which I completely forgot to sign him up for. The best thing is that the 10 free Gogo passes are issued per calendar year, meaning if you applied for the card now, you’d receive 10 that expire on December 31, 2016, and then another 10 that expire on December 31, 2017. You have to manually request your 10 free Gogo wifi passes here, though it’s an instant process from there. Just enter your card number and card security code. The next page will confirm that you’re eligible for 10 complimentary internet passes. The next page will ask you to log into your Gogo account to request the passes. Then you’ll get a confirmation that the passes are in your account. When you go to the Gogo website you should see the 10 passes listed there under the “pre-purchased passes” section. This benefit only applies to the business version of the card, and not the personal version. I don’t fly domestically as much as I used to (more of my travel is international nowadays), so I’m quite tempted to drop my Gogo unlimited pass and instead rely on the 10 passes offered through the Amex Business Platinum Card, in addition to the hour of free wifi I get on my smartphone per flight through T-Mobile. Then I can supplement that with purchasing Gogo day passes for $19 as needed, which still seems like a better deal than paying $60 per month for an unlimited pass, at least based on my travel patterns. 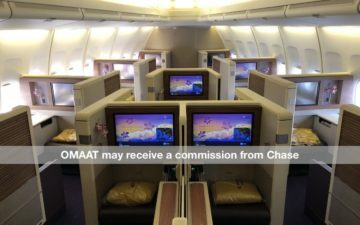 If you have the Amex Business Platinum Card, have you found value in the 10 annual Gogo passes? Has it changed whether or not you have a Gogo unlimited membership? Can you use it for international flights? Foreign carriers? My spouse has the 10 gogo passes. Just got the card. Can I use them if she’s not on the flight? Regarding the 200 annual fee credit for the card…how can I buy American or United gift cards? Mark, click the hyperlink “$200 annual airline credit” Lucky has in the 2nd paragraph of the post, within the listed perks. By all means use Lucky’s links, but I would suggest checking what you’re targeted for as well. I recently completed a targeted offer on Biz Plat for 100K base min spend + 50K after the additional spend. How does one best situate themselves for the targeted offers? How does one get targeted?